Get Certified - Bluewater Scuba - "Where Nashville Learns To Dive"
• All required Pool training for your Open Water Dives. • Academic reviews for any eLearning for which you may have questions. • UNLIMITED POOL PRACTICE. As a BWS student, you are encouraged to schedule practice sessions in our pool so that you are more comfortable and will be a better and safer diver when you complete your certification dives. There is NO FEE for this additional practice time as long as you schedule your practice when we have other water activity already scheduled. Call the store to inquire about practice times. • 4 Open Water Certification Dives. Entry fees are not included in your training fees since we do not know where you will complete your training. • On-site Indoor Heated Pool - 60 foot indoor heated pool for year-round training and practice. Each student is required to provide their own personal snorkeling equipment (mask, fins, snorkel, wetsuit) for their training. We offer student packages and discounts. Ask your BWS Professional for details. Step 1: Academics. 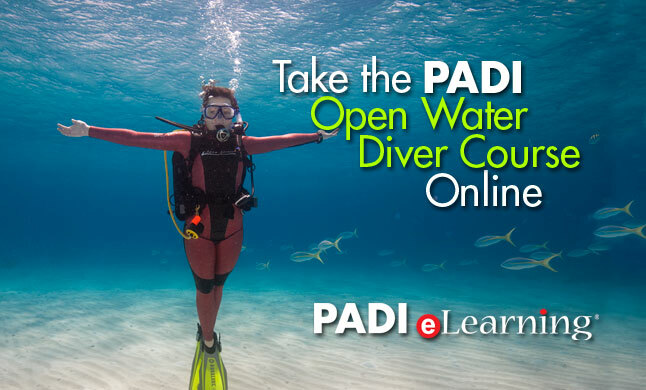 Sign up with PADI (www.padi.com) for your online Academic eLearning Module. Select Bluewater Scuba as the dive shop where you will complete your training. Step 2: Stop by our shop at 320 Mallory Station, Franklin, TN to pick up your student materials and sign your learning agreement. Register for one of our Confined training sessions via our website calendar of training. You will register for a Tuesday night Orientation and either a Saturday or Sunday Pool Session. Tuesday 6-9pm and either a Saturday or Sunday. Note: You only have to register for ONE day. Step 4: Schedule your Open Water Certification Dives. After completing the weekend class, you have six months to complete your 4 Open Water Training Certification Dives at a real dive site (local quarries, Florida Springs, Ocean Dives, etc.). These trips are scheduled at local dive sites from May-October, and in Florida year-round. Or you can join us on one of our many trips and we will finish your training during your scuba vacation! You can also be referred to a PADI instructor anywhere in the world if you have a trip planned. *Add-on fee for Florida Trips is $250 for two days of spring dives. *NOTE: Other than personal equipment that students are required to own (see below), other necessary equipment for training and checkouts is provided by Bluewater Scuba at no charge (when training done with BWS) including BCD, Regulator, Weight Belt and Weights and Tanks. Students are responsible for picking up all necessary equipment and transporting it to and returning it from their open water checkouts. Minimum of 4 students required for Group Pricing. Semi-Private Pricing available for fewer than 4 students. Private instruction available as well. All students are required to own their personal equipment (mask, fins, boots, snorkel, and we recommend a wetsuit as well). A proper fit is crucial for you to be able to complete the skills required in class. *Lightweight snorkeling equipment will not give you the durability and safety you need for scuba training. Stop by Bluewater Scuba to have a dive professional fit your properly at discounted student rates. If our group class schedule/structure doesn't work for your personal schedule, let us build a custom designed program for you. Fill out the form below and Bluewater Scuba will contact you to confirm a schedule. Plan for at least 2 sessions for the pool training. 4 hour blocks of time are best over at least 2 days. Classroom time depends on whether the student chooses the book (3-4 hrs classroom) or E-learning (1 hr classroom) option. Check out our gear packages!